The importance of teamwork was not only on the agenda but also on display by the agency running Castrol's finance leadership event. Motor oil company Castrol wanted to organise a conference for its wider finance leadership team as a follow-up to a global finance team conference held in June. A total of 55 attendees were travelling from across the UK, Europe and Africa, so the venue needed to be easy to access, as well as providing exclusive use, grounds and a relaxed atmosphere. Venues Event Management (VEM) was selected to produce the three-day conference, which was to include team building and an off-site dinner. The agency's client and strategic project manager Vicky Gardner says: "One final and vital stipulation from the client was that the event had to be memorable." The event was an opportunity for delegates to meet other members of Castrol's wider finance leadership team as well as to review the past three to five years in terms of change and financial performance. Not only did Castrol want to share its business strategy for 2010 to 2015, but also to discuss ideas on continuous improvement and provide wider understanding of the role of finance. "The event had to be organised with only two months' notice, which caused a few problems with venue availability," says Gardner. "Despite this, we still found a number of suitable venues." Because a number of the delegates were flying into the UK from overseas, Castrol wanted the chosen venue to be within one hour's travelling time of Heathrow airport. A restaurant for the off-site dinner was also a challenge as many were too small, adds Gardner. A cost-effective, off-the-shelf staging option was required but had to be one that could be customised to the client's requirements. Q Hotels Norton Park in Hampshire was chosen as it is 48 miles from Heathrow and has extensive grounds and a barn conversion that could provide privacy. Venues Event Management used an off-the-shelf stage set, Show2Go, provided by its preferred production partner AV Network. On the first day, delegates arrived at noon. The second day was was a full-day conference with a team-building activity taking place between 5pm and 8pm. For this, the delegates were split into eight teams and taken by coach to different areas of Winchester, where they were given an instruction pack, which included a list of tasks to complete, a map and a camera. As part of the challenge, attendees had to locate the evening's restaurant, Brassiere Blanc, on the map and make their way there. On the final evening, a medieval night was organised. The Hampshire Barn, which had been used during the day for the conference, was transformed into a traditional banquet with knights, a court jester and a minstrel band. Castrol's Gemma Hudson, who is PA to the finance manager for auto lubricants Europe and Africa, was impressed with how "organised and professional" the Venues Event Management team were throughout the process. "Any unexpected problems or issues were dealt with swiftly," says Hudson. 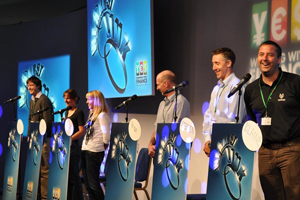 "The event was a huge success, which was in no small part down to Venues Event Management." A post-event evaluation survey was carried out and the results showed that all the delegates rated the overall conference as good or excellent. Meanwhile, 94 per cent rated the venue and location overall as good or excellent. A total of 86 per cent thought the first evening's team-building event was good or excellent, while 96 per cent of delegates rated the medieval evening event as good or excellent.